třeba to bude někoho zajímat"
The Rover SD1 series 2, Vanden Plas models. 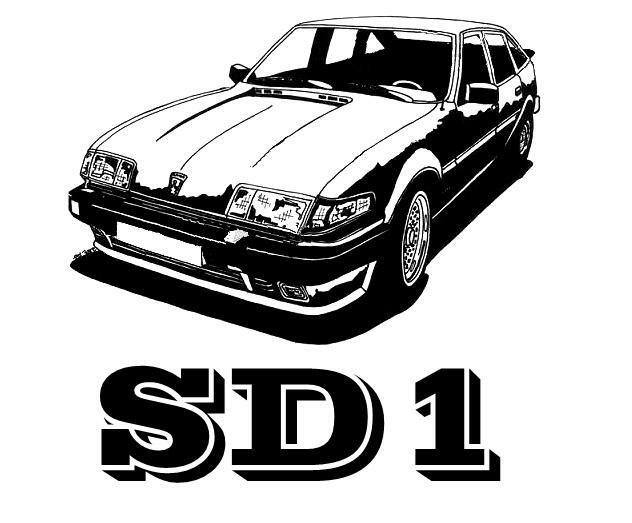 The Rover SD1 series 2 were built at Cowley from 1982 onwards. That September Rover announced the newly range of cars, from the 2300, 2300S, 2600S and 3500SE to the top of the range the Vanden Plas models. A name that was not been used before on the previous models. First of all the models came with four new interior colours, blue, green and light and dark brown. (Not all colours were available on all models) The cars were equipped with velvet seats and better carpets; leather trimmed steering wheel and a fully carpeted rear parcel shelf as well as illuminated switches. The front seats had an adjustable lumbar support, and a hand wheel adjustment for backrest angle. The seats were re-designed and by reshaping the rear seats, a little extra head and legroom was obtained for those in the back. The Vanden Plas models came with automatic transmission, as standard but five-speed manual gearbox was available as no-cost option. The car was supplied with electric operated sun-roof, power windows, central door locking, electrical operated mirrors, cruise control, trip computer, headlight wipe-washer and many others as standard. Škoda, že má volant na té správné straně. Po renovaci by to byl exkluzivní kousek. V tom případě musíte vybírat (výrazně) starší modely, které ještě měly typicky klasickou koncepci, nebo jít k jiné nejmenované značce, která zachovala zadní náhon dodnes. Díky Trundovi za info o tom prvním odkazu 4.6. na srazu, dneska už tam inzerát není. Jaj.... tak to mne opravdu mrzi Nevyfoukl ti to pan Homola? Tyyy jo... tak to je supr... a jak teda? Jdes do neho? Trundi to druhé SD je myslím Elvisova taťky..